Just like we were thought back then in school about division of labor which has so many advantages such as making the job easy and also keeping the workers fit for another task by allocating a particular portion of work for a particular group of people, this concept always makes us happy because most times the work becomes so light that even one person can comfortably take it up but because we have to participate for record purposes everyone gets involved. This concept is applied in most organizational networks by simply deploying several servers, each taking up different roles to easy stress from other servers and fastens networking and communication over the network. From the illustration above it might be possible to deploy one or two servers to smaller simpler networks and laboratory environments. A server is a computer designed to accept query, process requests and deliver data to other (client) computers over a local network or the internet. Although any computer running special software can function as a server, the most typical use of the word references the very large, high-powered machines that function as the pumps pushing and pulling data across the internet. Most computer networks support one or more servers that handle specialized tasks. As a rule, the larger the network—in terms of clients that connect to it or the amount of data that it moves—the more likely it is that several servers play a role, each dedicated to a specific purpose. Server is the software that handles a task. However, the powerful hardware that supports this software is also usually called a server because server software coordinating a network of hundreds or thousands of clients requires hardware much more robust than what you’d buy for ordinary consumer use. 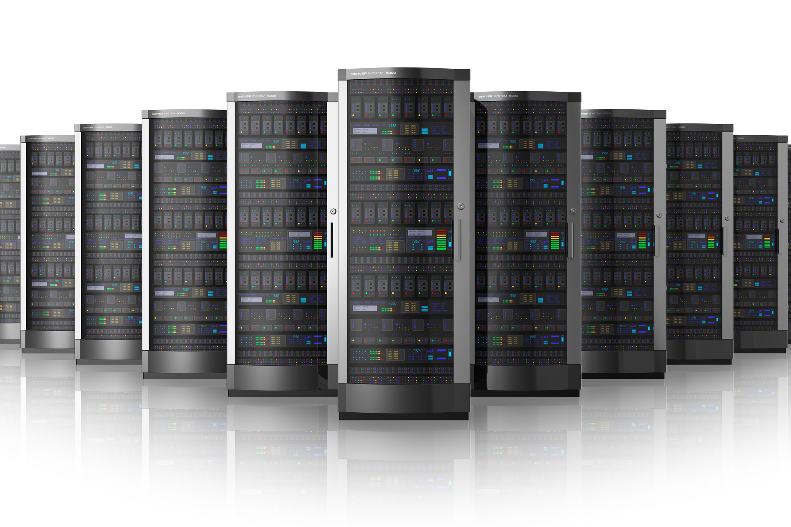 Servers are typically divided into two that is client server and network server. The network server computers are the once necessary for providing access and controlling of the network operations someone might say a cache that caches information and then send it to the client, whereas the client servers are the once who uses information provided by the network or central server. In general the aim of server is not only to monitor or control network access but also to share files and provide access to printers, and some other application, while some administrative measures can be centralized where necessary allowing client to perform their task individually. All Microsoft Windows servers supports a client and network servers system called domain. The Web server: This server provides access to websites for external users who access the web services from the internet such as online customers shopping for goods, booking tickets online, filling application forms and other variety of things like students booking accommodation, paying online fees, checking admission list and results as the case maybe. The aim here is to protect any personal information like the credit details used during the time of this person or the organization accessing the net. Mail server: Mail servers use a protocol commonly known as ICMP to act as a post office service by gathering or accumulating mails for distributions to users and deliver them to the appropriate destination and then forward outgoing mails through the appropriate route. This was just a brief of what mail servers does before now but today so much has been added to mail servers such as chats, web access, document sharing, and file storage I hope we will be expecting more to be added soon. DHCP servers: domain host control protocol (DHCP) is generally known for automatic IP configuration in an Internet Protocol services from the name and the job it does we can conclude that a dhcp server typically a software that issues IP automatically to client servers, this server eradicates the stress of manually adding static IP to every single host to a network, the dhcp servers are found in devices like router, and modems that allows several users to connect to network. DNS server: The domain name system is a protocol that resolves internet protocol address into name, for example when we ping www.gmail.comin respond we will see the IP address of gmail at that time, the protocol responsible for this, is the DNS, so what this server actually does is to maintain a database for domain names and their corresponding IP’s. Proxy server: A proxy server is used for caching and storing information for client so that it will be easy for the client to access the information fast enough maybe without going to the internet if the entire website is cached, this practice increases and enhances security as well as client performance to respond time and eliminates the other of traffic congestions by frequently getting all resources from a local area source known as the LAN. Print server: This server simply allows all network users to share common printers connected in the same network. 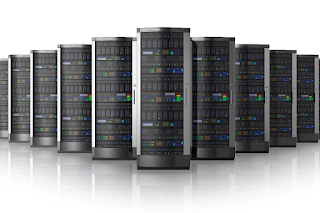 File servers: file servers are known as high speed servers that uses either LAN or WAN protocol to accelerate files at its maximum speed hence it shares file to many users at a times, we can simply combined this as the remote drive. Recent file server provides access to documents and pictures that are more reason why often times we don’t separate a print server from a file server. Authentication servers: This server acts like the traffic police on the road who is trying to make sure that all vehicles go through traffic rules, by permitting you to drive on or turn back after checking your permit and credentials, so this server an application that track, checks and act like an access list to checkmate the authentic of every client server to access a particular information. The dude servers: This sever is can be installed in a virtual machine VM which then in turn controls the activities of the server like powering it on/off. In Microsoft windows 7 the VM is powered on and then information on servers installed in it will be displayed after then the user is expected to minimized the page leaving icon pinned on the task bar, as the VM comes on the user can then be able to access the DUDE server which also has remote interface allowing multiple admins to monitor the up and down times, of a bunch of internet connected customers which he has created using either the ring or star topology method. CACTI servers: The cacti servers also run in a VM just like the dude servers, but the difference is that information’s of each host is created and then a graph of utilization is then created also to track the utilization of each host in a network. The cacti servers are built in with an audible sound which alerts the user about the down time of any client in the network, it also offer remote connections from other computers on the same network for multiples admins purposes. ← Quick guidelines and topics every new blogger should know.